English - Where are you from? I'm currently working on the translation of the film and the website to English. 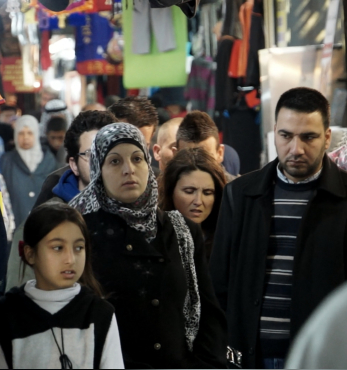 But here a short information about the film: „Where are you from?“ , a documentary by Wisam Zureik, discusses the identity dilemma of the Arabic minority in Israel. Zureik developed and realized the film at the „Rheinische Fachhochschule Cologne” as part of his final thesis. The state of Israel calls itself home of the Jewish people. However, there are more than 1.6 million Arabs who make up around 20% of the Israeli population. On the one hand these Arabs are considered to be Palestinians by descent, on the other hand they are Israeli nationals as they own Israeli citizenship. Having both a sense of belonging to Israel and to Palestine they are subject of a conflict between their felt national identity as Palestinians and their citizenship-based identity as Israelis. Due to this identity crisis there are major differences how Arabs in Israel define themselves. Some emphasize their Palestinian origin and call themselves Palestinians. Others stress their Israeli citizenship and hence consider themselves Israelis. Many Arabs then try to formulate for themselves a combination of both aspects.